Control4 makes Everyday EasyTM. We give you simple, practical control of your music, movies, lights, temperature and security system from anywhere in your home or anywhere in the world. 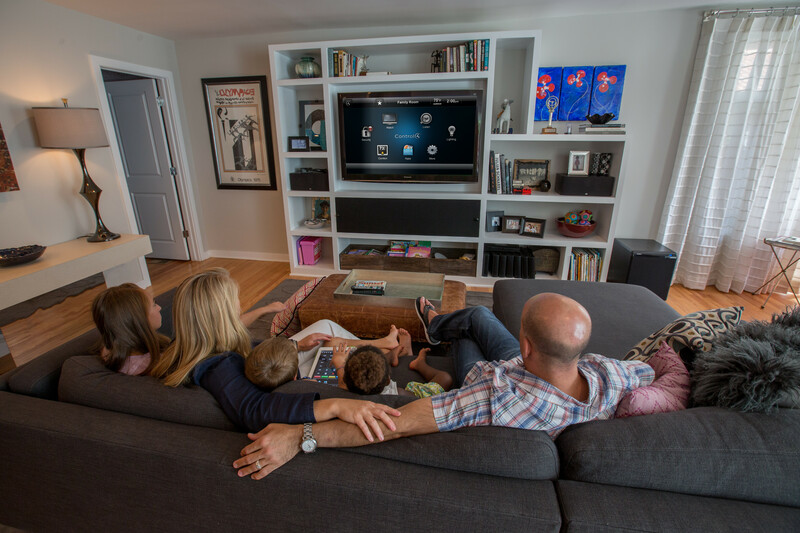 Our wired and wireless, easy-to-use products make your home your favorite place to be by bringing a new level of effortless entertainment, peace of mind, and comfort and convenience to you and your family. Control4 is the platform for today's smart-home. Automation used to be an expensive, new-home-only, complicated process. Control4 has changed all of that. Affordable - Control4 brings you the benefits of a practical, reliable home automation system at a price that fits into your budget. Our scalable design also means that it's not an all-or-nothing solution - you can start with a basic system and upgrade over time with solutions that fit your needs and budget. Easy to Install - Control4 products are designed to be easily installed in both new and existing homes. Wireless or wired technology means that you don't need to tear open walls and remodel your entire home to install a Control4 system. Complete Control4 systems can be installed and programmed in a matter of hours saving you time and money. Easy to Use - Control4 makes your life Everyday EasyTM by taking all of the technology in your home and simplifying it. Everything works better when it works together. Control4 lets you easily manage lighting, security, music and entertainment without the need for a confusing array of remotes or in-depth training.